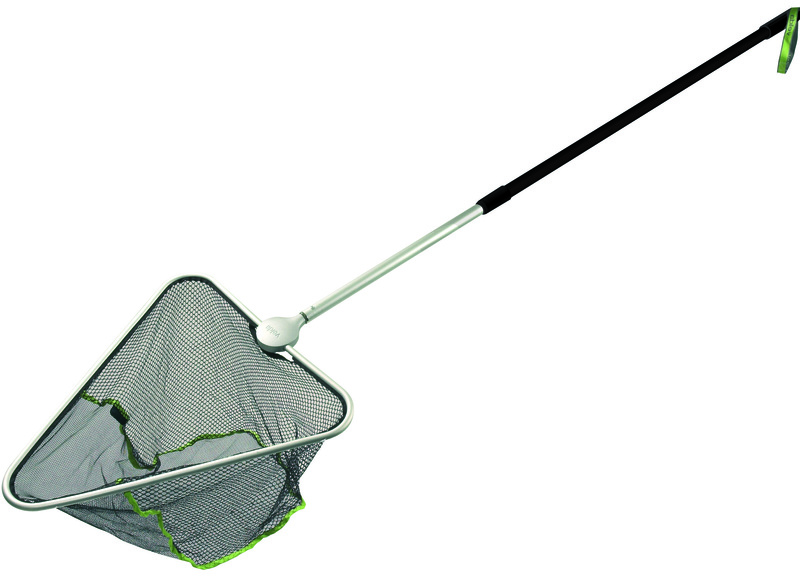 A quality landing net is an indispensable tool for every pond. 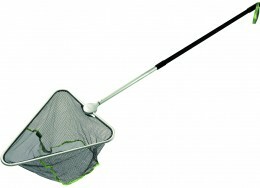 For each type of pond job you use a different kind of landing net. To catch fish, amphibians and different, somewhat bigger aquatic animals toy use a firm scoop net of fishing net. During the hot months of summer you will be confronted with additional algal growth in your pond. Algae are parasitic plants which may obstruct the growth of other pond plants. You can simply remove them with a fine-threaded scoop net. Do not remove all of them because they provide oxygen to small aquatic animals. With this scoop you can also remove fine dirt and fallen leaves. 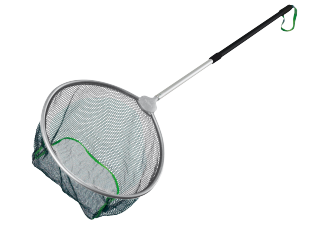 Some scoop nets have a telescopic handle, enabling you to adjust their length yourself.